Some 400 ISIS fighters held in Tripoli and Misrata may take advantage of the chaos in Libya and flee to Europe, Libyan Deputy Premier Ahmed Maitig told the foreign press in Rome Tuesday, like reported by ansa.it. “With the ongoing war in Libya hundreds of thousands of migrants may easily reach European shores,” he added. “But even worse may happen,” he said, alluding to the ISIS fugitive threat. Maitig said his government “has worked with the international community to keep these terrorists prisoners”. Despite this, he said, “we see that some partners are backing (eastern strongman General Khalifa) Haftar’s offensive” on the UN-backed government in Tripoli. The Italian interior ministry on Tuesday issued a directive aimed at dealing with terrorists possibly arriving from wartorn Libya. “Hundreds of Islamic terrorists could arrive in Italy taking advantage of the chaos in Libya,” it said. “It is no accident that France has officially asked to extend the closure of its borders with Italy for another six months for a national emergency linked to terrorism”. “The interior ministry is responding with a directive”. There is a risk of foreign fighters arriving from Libya if migrant flows surge due to the chaos there, Premier Giuseppe Conte said Tuesday. “We are very concerned about the Libya crisis, we have always worked and will continue to work to avert a humanitarian crisis that may expose us to the risk of the arrival of foreign fighters on our soil,” he said. “We must absolutely avert an escalation”, he said. Conte added that “Italy’s immigration policy has never been reduced to open ports yes or no. “This is a beautiful simplification for the public, but those that follow it can discover that Italian immigration policy is much more complex”. Dozens have been killed in fighting in Libya since eastern strongman General Khalifa Haftar ordered his Libyan National Army (LNA) forces to advance on Tripoli, where the UN-backed Government of National Accord is located. Some 800,000 refugees including criminals and ISIS-linked fighters are set to invade Italy from the conflict-torn country, Premier Fayez al-Sarraj told Corriere della Sera Monday. 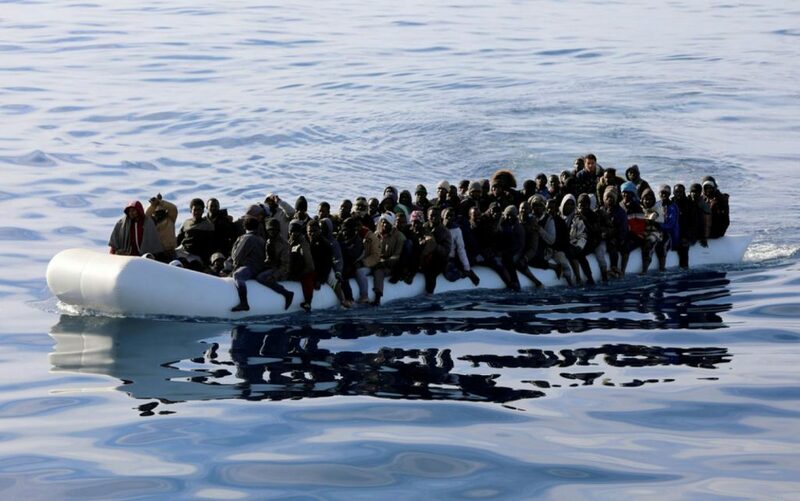 Italy’s ‘closed ports’ policy may not be enough if there is a migrant surge as feared from wartorn Libya, Transport Minister Danilo Toninelli said Tuesday. “The line is that if thousands of asylum seekers were to arrive, the closed ports approach cannot be enough,” he said. Toninelli told Italian radio that “we’ll have to open other European ports” and “there will have to be a redistribution” of migrants. “The approach must be international”, he said. Sarraj said the refugee surge was likely if the conflict with Haftar escalates. Asked about being probed for a migrant standoff with the EU in Sicily, Toninelli said “it’s not a medal”. “We must continue to save lives but this must be done in safety and security”, he said. Toninelli is being probed along with Interior Minister Matteo Salvini, Premier Conte and Deputy Premier Luigi Di Maio in the case of the German NGO-run SeaWatch 3 whose 47 rescued migrants were allegedly “kidnapped” at Siracusa for 12 days.